Did you see that JCP is doing FREE family pictures during November? Yup, NO sitting fees and a FREE 8x10. (of course I will order my holiday cards from there!) I have always used the JCP Portrait center, and love their work, so I was super excited. 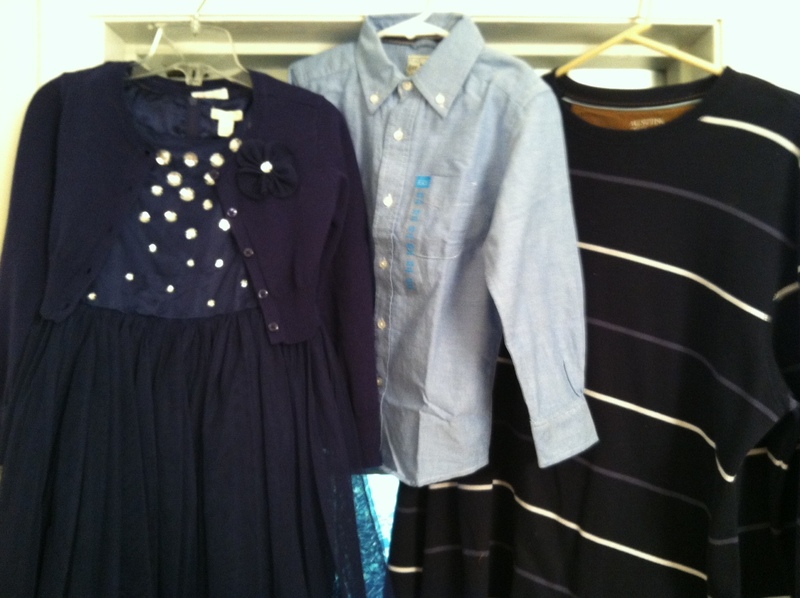 We have an appointment and now I am trying to coordinate outfits. all because my daughter fell in love with this cute dress and cardigan from The Children's Place. Then, I got my son a shirt and bow tie from there too. PROBLEM is now I can't find anything for me!!!!! I need to get outfits in a PETITE size since I am 5'4" and that is not always so easy (limited choices). 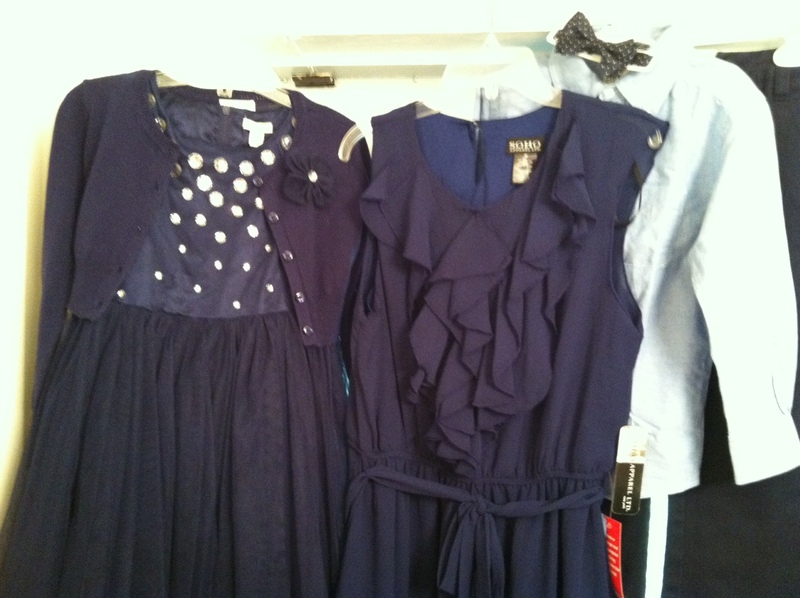 I am thinking I will go with light blue since I don't want too much navy. Not sure, so now I AM STRESSING!!! Isn't it the EXACT color of my daughters's dress!? Super excited for November 3rd!